A new book (series?) set in the Russian-inspired fantasy world of Bardugo's Shadow and Bone. I know nothing about this book except the author, and that's enough for me. I also have a vague memory of seeing it compared to Ocean's 11? Again, can't remember much of why I added this, but I have read a book by this author before, and really enjoyed it, and I do remember seeing rave reviews. Historical fiction that has actually made it onto my Kindle. I'm always in the market for good historical fiction. I think I once read this book compared to The Thief series by Megan Whalen Turner, and I could seriously write paragraphs about how much I love that series. Not sure of the plot of this book, but I am a huge Jojo Moyes fangirl. Several friends and the hubby have recommended this book to me. Time to get it on the nightstand. Well, we'll see how well I stick to this, or what shiny book bumps one of these down a notch. At least I have a plan for the "what to read next" dilemma. 1. You may have noticed it's a Presidential election year. You know, if you have eyes or ears. I'd like to also remind everyone that in addition to educating yourself before voting -- not just buying all the sound bites -- remember that the President is not the only person we are electing. And, for those who have forgotten a lot of what we learned in civics/government/social studies, the executive branch is not the only branch of our government. We also need to pay attention to who we're electing to Congress and the Senate at both the state and local levels, to School Board, County Commissioner, Mayor, Governor, etc. There are a lot of elected officials that affect our lives in big ways, and I think if we really want change in our country and in our government we need to look at all levels, and all positions. 3. Another hot and humid week ahead. I'm not ready for summer weather. Although I always love summer produce. 4. Speaking of produce...I've got some basil growing! Finally! Now I just need to get some rosemary going. I may jump start that with some seedlings. "It had been a lot more straightforward when she'd just assumed that she could despise them all from the thin air of the moral high ground"
"She just wanted to be friends with Gansey forever, and maybe one day also have carnal knowledge of him." I've finally finished a few books in the last couple of weeks (just in time for the release of Raven King which I am simultaneously SO EXCITED to read and putting off because then the series will be over officially). 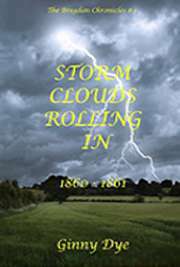 I've mentioned it previously when I started it, but Storm Clouds Rolling In is the first in a Civil War fiction series. Overall I really enjoyed the book. You could tell that the author put a lot of time and care into researching, and that she was passionate about her subject. I did find the writing to be a tad overdone, and the romantic stories pretty cheesy. But, I'm interested to pick up another book or two in the series and see if the author's writing improves. 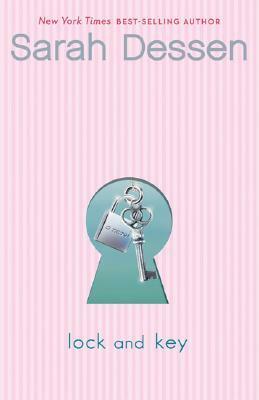 Whenever I'm in the mood for a quick read, sweet romance, complicated family relationships, friendships, and well-written characters I know I can't go wrong with a Sarah Dessen book. Saint Anything and Lock and Key did not disappoint. It's a common complaint: the internet has given us the distance and opportunity to be hateful. We have forgotten how to have civilized conversation about sensitive and passion-provoking topics. Our culture is one of divisiveness and extremes. Us versus them. For us or against us. Tolerance has become synonymous with agreement. But a funny thing happened a few weeks ago. I read a Civil War novel (Storm Clouds Rolling In, by Ginny Dye) that reminded me very vividly that passionate division is nothing new. Disagreement turning to hatefulness is nothing new. Of course, throughout history, this often leads to more open conflict like civil wars, revolutionary wars. So it's no surprise then, that when the Bible talks about what the Kingdom of God looks like...it specifically addresses how we talk to each other, how we disagree with each other, and how we treat each other. If we call ourselves children of God, If we consider ourselves part of the Kingdom of God, then we are called to look different. To act different. To BE different than those who have not yet taken up residence in that Kingdom. And the funny thing is, if I'm full of the Spirit, living a Kingdom life...that's going to make God's Kingdom look like a pretty great place. Maybe it will make people want to find out how to live there too. I will be the first to say that sometimes God does ask us to rise up, stand against evil, and seek justice particularly for those who are marginilized or can't easily help themselves (how many times does Jesus tell us to take care of widows and orphans? A lot. And that's just one example). I believe God calls us to speak truth and live rightly, and when the circumstances call for it (mostly when it comes to other God-followers), to gently and lovingly point someone who is sinning back to Jesus -- to come alongside them and walk with them back into reconciliation with God. Much of what God calls us to do comes down to relationship. Relationship with him, relationship with others. Not everyone has a public forum, and not everyone needs one. If God gives you an opportunity to do good, fight for truth, make a difference in making our broken and hurting world a little better or a little more in line with what God wants -- take the opportunity! If it's on a large scale -- awesome! If it's on a small scale -- awesome! Sometimes it's taking the time to vote, or taking the time to say hello to your neighbor, or offering someone a cup of cold water or a smile. Several Bible verses have really stood out to me lately and seem particularly applicable our cultural atmosphere of vitriol. I'll say it again: it's okay to share what you believe, and it's okay if that's different from what someone else believes, and it's even okay to be bold in the right context. What I want to think about these days though, is not always what I'm saying, but how I'm saying it. I want to ask myself if I'm listening, not just talking (it's called conversation). Am I praying for discernment that God will help me know when, what, and how to speak to others about tricky subjects. 1. Family visits! That's the theme of May (well, end of April and May). A visit from Oma and Papa from Missouri...a visit to the East Texas homestead...and an upcoming jaunt to see the Austin cousins. We all love it! 2. Iced coffee. 'Tis the season! (Hot) Nothing quite like some cold brew. 4. Reading. 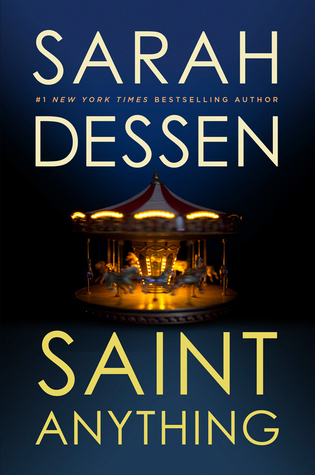 Catching up on some Sarah Dessen (Lock and Key and Saint Anything), which is always fun. Great contemporary ya fiction. Listening to some Brandon Sanderson, and trying to find the perfect time to start Raven King, by Maggie Stiefvater. It's the fourth and final book in her Raven cycle and I am so excited to read it and sad it's over. I got to go to a book signing last week (thanks Jeremy!) to buy the book and get it signed. Maggie is so funny. She tells a story like...well, a storyteller. It was fun. 5. Short list today...diapers wait for no one.